Hilary Alexander, Football (Er, Soccer) Commentator? Fashion and sports don't often mix, but leave it to the World Cup to bring these two disparate worlds together. Louis Vuitton designed the carrying case for the World Cup Trophy. Dolce & Gabbana outfits the Italian national team. Soccer players are such lovely specimens that they often double as models (see David Beckham for Armani, Kaka for Armani, and Freddie Ljungberg for Calvin Klein to name a few). But the funniest instance of the worlds of fashion and football colliding happened yesterday, when the Daily Telegraph's Hilary Alexander essentially live-twittered the England-Germany match. The Brit paper's fashion director proved she is just as serious about football as she is about fashion. Well, almost. 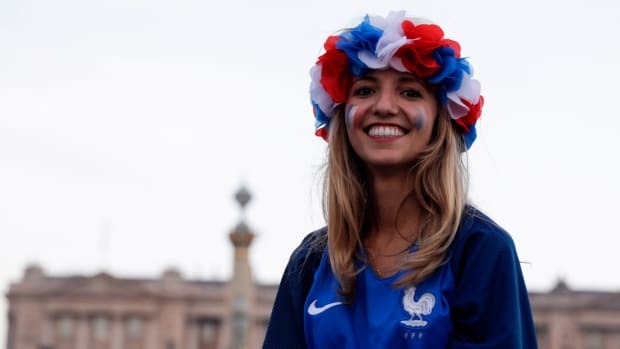 Fashion and sports don&apos;t often mix, but leave it to the World Cup to bring these two disparate worlds together. Louis Vuitton designed the carrying case for the World Cup Trophy. Dolce & Gabbana outfits the Italian national team. Soccer players are such lovely specimens that they often double as models (see David Beckham for Armani, Kaká for Armani, and Freddie Ljungberg for Calvin Klein to name a few). But the funniest instance of the worlds of fashion and football colliding happened yesterday, when the Daily Telegraph&apos;s Hilary Alexander essentially live-twittered the England-Germany match. The Brit paper&apos;s fashion director proved she is just as serious about football as she is about fashion. Well, almost. Check out her top ten tweets from yesterday&apos;s match. (Note how Alexander&apos;s spelling mistakes increase as the game goes on...) 1. "Let the British lion roar and the german eagle will fly no more!" 2. "The ref is blind! Or else he&apos;s German!" 3. "Curses! Foiled again!" 4. "I. Liking this Sicilian waistcoat tie and shirt look (all M+S) on Beckham!" 5. "The worst pass in history !" 6. "Gordon Bennet! Just bloody play England. Stop dicking around! Rooney shd hang head in shame!" 7. "Where&apos;s Elngland [when u need them? Giving the balll to Germany" 8. "Perhaps the england team shd admit they only play best when they&apos;re plying for big bucks for their club" 9. "I agree with all of you who have tweeted me. England played like spoilt little bastards!they should be grateful rhey [sic] don&apos;t play for Colombia" 10. "We&apos;re NOT complaing about the missed/not seen goal! We&apos;re furious when players can score for Man U or Chelsea but NOT for England!" Telegraph fashion director Hilary Alexander announced her semi-retirement in February via Twitter, but now she's revealed her replacement(s). Writer Lisa Armstrong, who regularly contributes to US Harper's Bazaar and British Vogue, will run the section next to Luke Leitch, who is currently deputy fashion editor of the Sunday Times. 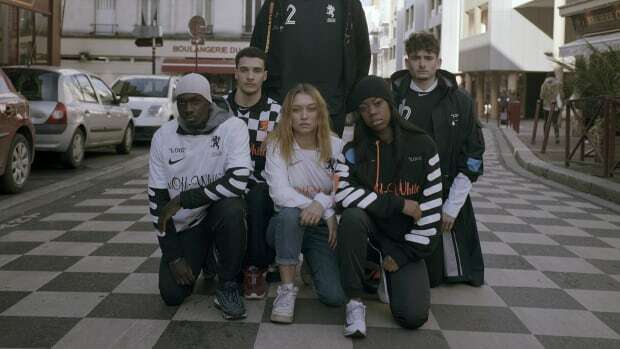 We've all got a bad case of World Cup fever, according to Lyst.